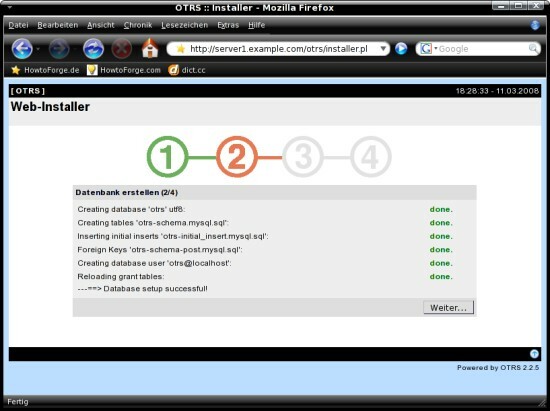 Open http://server1.example.com/otrs/installer.pl within your preferred browser. A wizard will guide you through the installation. Read the license agreement (GPL v2) - proceed if you agree with it. Insert the MySQL root user password that you set at step 2.4 and insert a password for the otrs database user. The database has been created. Insert your server's FQDN, your company name and select the standard language. Finally restart the Apache server. 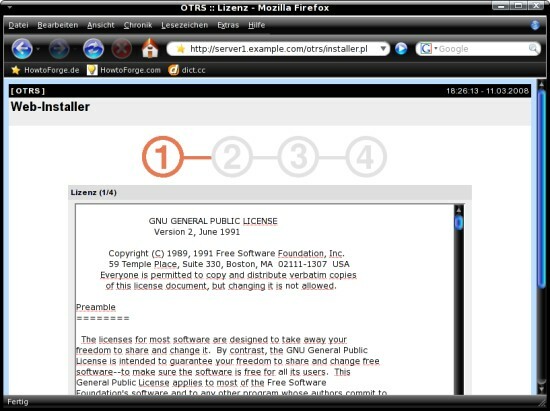 Open http://server1.example.com/otrs/index.pl within your preferred browser and log in with the username "[email protected]" and the password "root". 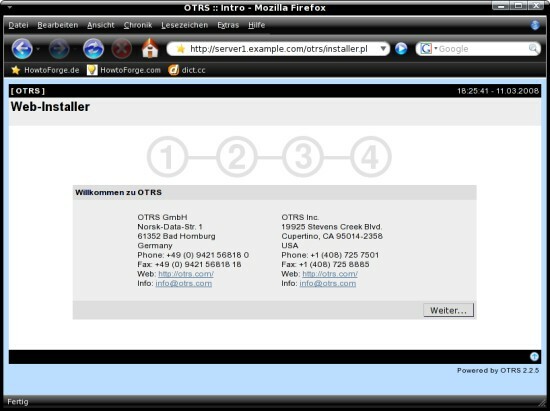 You should take a look at the OTRS documentation to find out how to use the web interface. 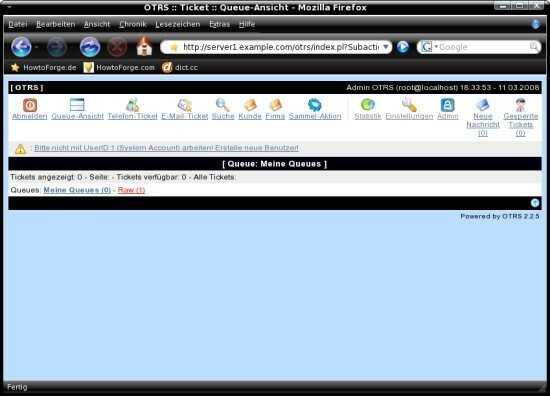 i used to install otrs2 on ubuntu but not very stable and compatible. I need to add this: after installing otrs you need to install even SOAP::Lite via CPAN. this is to allow the installation of some packages not produced by Otrs like Opennms.